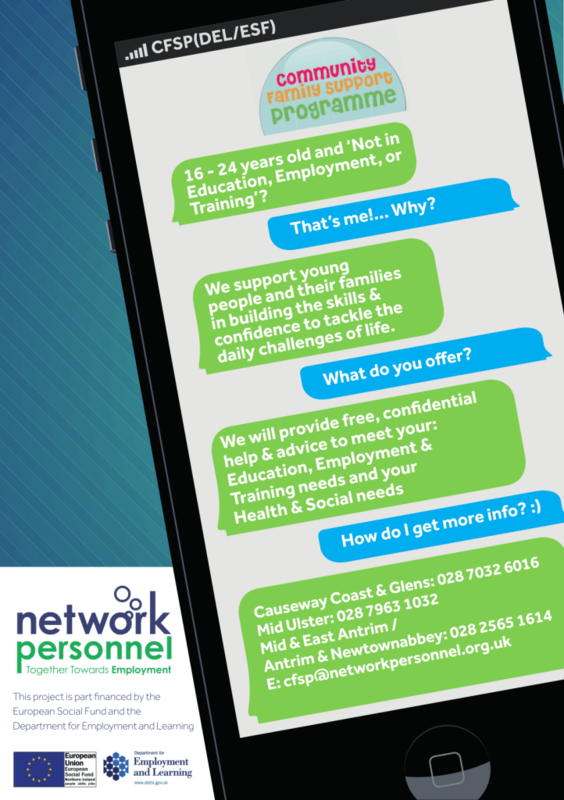 We can help with your education, employment or training..
Are you 16 to 24 years old and not in education, employment or training? We support young people and their families in building the skills and confidence to tackle the daily challenges of life. We will provide free, confidential help and advice to meet your: education, employment and training needs and your health and social needs. This project is part financed by the European Social Fund and the Department of Employment and Learning.